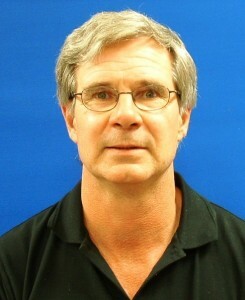 Dr. James Davies is a co-founder of CEP. He graduated from the University of Oxford in 2006 with a PhD in social and medical anthropology. He is a senior lecturer in social anthropology and psychotherapy at the University of Roehampton and has practiced as a psychotherapist in organisations such as MIND and the NHS. 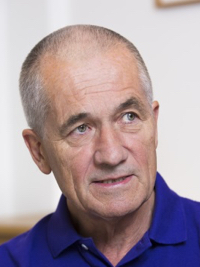 Professor Peter C. Gøtzsche is Director of the Nordic Cochrane Centre. Peter has published more than 50 papers in “the big five” (BMJ, Lancet, JAMA, Ann Intern Med and N Engl J Med) and his scientific works have been cited over 10,000 times. He is author of the following books: Rational Diagnosis and Treatment. Evidence-Based Clinical Decision-Making (2007), Mammography Screening: truth, lies and controversy (2012), Deadly Medicines and Organised Crime: How big pharma has corrupted health care (2013). Peter has an interest in statistics and research methodology. He is a member of several groups publishing guidelines for good reporting of research and has co-authored CONSORT for randomised trials (www.consort-statement.org), STROBE for observational studies (www.strobe-statement.org), PRISMA for systematic reviews and meta-analyses (www.prisma-statement.org), and SPIRIT for trial protocols (www.spirit-statement.org). Peter was one of the editors of the Cochrane Methodology Review Group 1997-2014. Dr. Anne Guy UKCP Reg; BACP (Accred) is a psychotherapist currently in private practice. Having originally graduated from the University of Warwick with a BA in Philosophy and Sociology she worked for 20 years as a senior manager in both financial services and the third sector in various operational and change management roles. In 2007 she went on to retrain as a psychotherapist, completing a psychology doctorate (PsychD) in psychotherapy and counselling at the University of Roehampton in 2012. Her doctoral research explored the impact of the biomedical model of medicine on psychotherapeutic practice. Whilst at Roehampton she worked in the UKCP research unit (co-authoring a paper examining the impact of NICE guidelines on depression on counselling in the UK) and went on to become a lecturer and programme convenor for a BSc in Integrative Counselling. 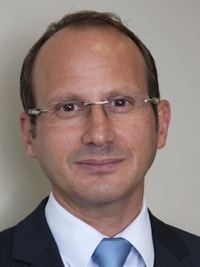 Peter Kinderman is Professor of Clinical Psychology and Head of the Institute of Psychology, Health and Society at the University of Liverpool, with over 200 academic staff (32 of them professors) comprising psychiatrists, general practitioners, clinical and other applied psychologists, sociologists, public health physicians, nurses, sociologists and academics. 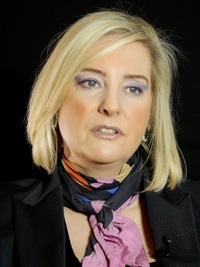 Professor Kinderman’s research activity and clinical work has involved studying serious and enduring mental health problems such as paranoid beliefs and hallucinations, psychological models of mental health and the effectiveness of psychosocial interventions, alternatives to traditional psychiatric and diagnostic approaches and how psychological science can assist public policy in health and social care. Professor Kinderman has an honorary position as Consultant Clinical Psychologist with Mersey Care NHS Trust. He is currently a member of the UK Office for National Statistics’ Technical Advisory Group for the Measuring National Well-being Programme, and served twice as Chair of the British Psychological Society’s Division of Clinical Psychology. 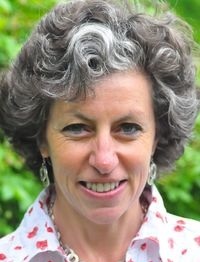 Professor Kinderman was formerly a member of the UK Department of Health’s Mental Health Advisory Board, served as a member of the Health Professions Council’s Professional Liaison Group for applied psychology and sat on the Advisory Panel of the European Union’s Fundamental Rights Agency. Professor Kinderman was also a consultant to the BBC Headroom campaign and has contributed to several broadcasts in the field of mental health, most notably hosting a two-episode BBC Horizon piece exploring the role of diagnosis. Dr. Joanna Moncrieff is a Senior Lecturer in psychiatry at University College London and a practising consultant psychiatrist. She has written articles critical of various psychiatric drug treatments, including lithium, antidepressants and neuroleptics. Joanna has also written about the adverse influence of the pharmaceutical industry on psychiatry. 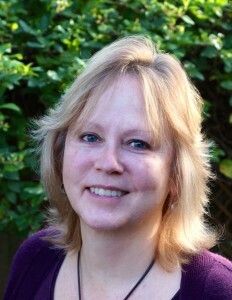 She is also one of the founders and the co-chair of the Critical Psychiatry Network. Joanna’s research consists of an analysis of all aspects of psychiatric drug treatment. She is interested in the nature and function of diagnosis in modern psychiatric practice, and in the history, politics and philosophy of psychiatry more generally. She has also written three books: The Bitterest Pills, published by Palgrave Macmillan, The Myth of the Chemical Cure, published by Palgrave Macmillan, and A Straight Talking Introduction to Psychiatric Drugs, published by PCCs books. 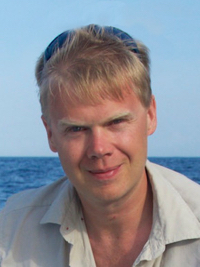 Dr John Read is Professor of Clinical Psychology at the University of East London. John worked for nearly 20 years as a Clinical Psychologist and manager of mental health services in the UK and the USA, before joining the University of Auckland, New Zealand, in 1994, where he worked until 2013. He has published over 130 papers in research journals, primarily on the relationship between adverse life events (eg child abuse/neglect, poverty etc.) and psychosis. He also researches the negative effects of bio-genetic causal explanations on prejudice, the opinions and experiences of recipients of anti-psychotic and anti-depressant medication, and the role of the pharmaceutical industry in mental health research and practice. John is on the Boards of: Hearing Voices Network, the UK branch of the International Society for Psychological and Social Approaches to Psychosis, and the International Institute for Psychiatric Drug Withdrawal. John is the Editor of the ISPS’s scientific journal ‘Psychosis’. 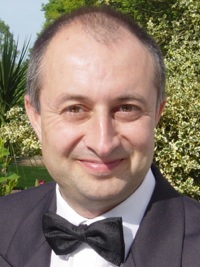 Dr. Sami Timimi is a consultant child and adolescent psychiatrist and director of postgraduate education in the NHS in Lincolnshire and a visiting professor of child and adolescent psychiatry at the University of Lincoln. He writes from a critical psychiatry perspective on topics relating to child and adolescent mental health and has published many articles on many subjects including eating disorders, psychotherapy, behavioural disorders and cross-cultural psychiatry. Sami has authored four books, Pathological Child Psychiatry and the Medicalization of Childhood (2002), Naughty Boys: Anti-Social Behaviour, ADHD and the Role of Culture (2005), Misunderstanding ADHD: A Complete Guide for Parents to Alternatives to Drugs (2007), and A Straight Talking Introduction to Children’s Mental Health Problems (2009). He co-edited with Begum Maitra Critical Voices in Child and Adolescent Mental Health (2006), Liberatory Psychiatry: Philosophy, Politics, and Mental Health with Carl Cohen, (2008) and Rethinking ADHD: From Brain to Culture with Jonathan Leo (2009). He has co-authored with Brian McCabe and Neil Gardner The Myth of Autism: Medicalising Men and Boys’ Social and Emotional Competence (2010). John has been a cross bench member of the House of Lords since inheriting the title in May 1995 (elected by peers in November 1999). He is currently on the European Union Select Committee and its foreign affairs sub-committee. He is a member of several all-party groups including the Involuntary Tranquilliser Addiction group. 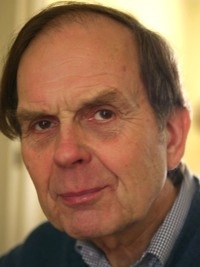 He was a Board Member and Trustee of Christian Aid, 1999-2004, having served on the staff, 1972-86, as Information Officer and Research Officer. He was a freelance editor and consultant to international aid agencies from 1986 to 1995 (mainly Christian Aid, Save the Children, Anti-Slavery and CARE International). He was for nine years a Council Member of Anti-Slavery International. He was on the International and Development Affairs Committee at Church House 1997-2000. John divides his time between London and Mapperton in West Dorset, where he oversees agricultural and residential property, gardens and other tourist attractions. John was a Governor of Beaminster School and a managing trustee of St Francis School Hooke. Melanie has been the manager of Mind in Camden’s REST Project for 20 years. She facilitates a weekly support group, providing advice, information and support regarding safe withdrawal from benzodiazepines. She also campaigns about the dangers associated with use of this medication and provides advocacy on behalf of clients with their GPs and psychiatrists. Melanie’s interest in the area began when two people she knew became addicted to sleeping pills and she realised the insufficiency of the support available to them. She is very interested in the physical, psychological, social and political forces at work that make a change in use very difficult. Her ethos is that – while those with a dependency are the prime movers in their treatment – a collaborative effort is required, with the project’s encouragement, reassurance and support. 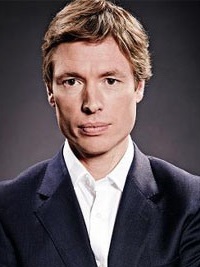 Luke Montagu is an education and media entrepreneur. After graduating from Columbia University with a degree in film studies, he co-founded Kinexus Ltd in 1995, a corporate television production company focused on the IT sector. After selling Kinexus to Ideal Hardware plc, Luke co-founded and became CEO of Wide Learning Ltd, which grew rapidly to become one of the UK’s largest e-learning businesses, with investment from Reuters, GE Capital and JP Morgan among others. In 2003 Luke co-founded the Met Film School, which he led as CEO until 2009. Based at Ealing Studios, the Met Film School is the UK’s largest private media college, with over 1000 students studying a range of MA, BA and shorter courses. He also co-founded a post-production as well as a film production business, and has executive produced a number of feature films. Luke now spends most of his time working on his family’s property business in Dorset. Luke is a co-founder of CEP. The Bristol & District Tranquilliser Project is a Voluntary Sector organisation set up originally in 1985 to help those having problems with certain prescribed psychotropic medication (benzodiazepine tranquillisers/sleeping pills, other sleeping pills and antidepressants). We help people who are taking, who are considering taking or have recently withdrawn from this type of medication. We are mainly funded by the Bristol Clinical Commissioning Group (CCG) and we work closely with the CCG to achieve our objectives. We became a registered charity in 1996 and a company limited by guarantee in 2004. CITAp (the Council for Information on Tranquilisers, Antidepressants and Pain-killers, formerly CITA) is a charitable organisation, established in 1987 to provide support and information for individuals, families, friends and professional advisors dealing with prescribed tranquillisers, sleeping tablets, antidepressants and pain-killers. CITAp works in GPs surgeries across the North West of England with a system of withdrawal clinics pioneered by the charity. The success of these clinics is such that the charity is probably responsible for more prescribed medication withdrawals than any other organisation in the UK. CITAp also operates the only National Helpline – which is used by individuals and professionals alike. The REST Minor Tranquilliser project is a service run by Melanie Davis, established over 20 years ago within the registered charity Mind In Camden to provide help and support to individuals who are affected by benzodiazepine dependency. These individuals include existing, recovering, present and potential users and also friends, relatives and carers of users. Recovery Road is a support project that provides information, coping tools and other resources for individuals affected by withdrawal and dependency on benzodiazepines, similar acting Z-drugs and antidepressants. It is also utilised by those who provide care including relatives, counsellors and doctors. With a focus on empowerment and recovery, Recovery Road gives hope and encouragement through its comprehensive website, Recovery and Renewal self-help book and Bloom in Wellness Facebook community group.